The Lost Brothers’ album New Songs Of Dawn And Dusk has been announced as one of twelve albums shortlisted for the Northern Ireland Music Prize 2015! The winner will be announced at this special awards night at the Mandela Hall, Belfast, on 14th November. Watch The Lost Brothers perform Gold & Silver, from their new album, on the new series of Ireland’s live music show Other Voices. The Lost Brothers re-enter the Irish indie charts at no.4! Thanks to their appearance on The Imelda May TV Show, we’re excited to see The Lost Brothers re-enter the Irish Indie chart with their new album New Songs of Dawn and Dust. 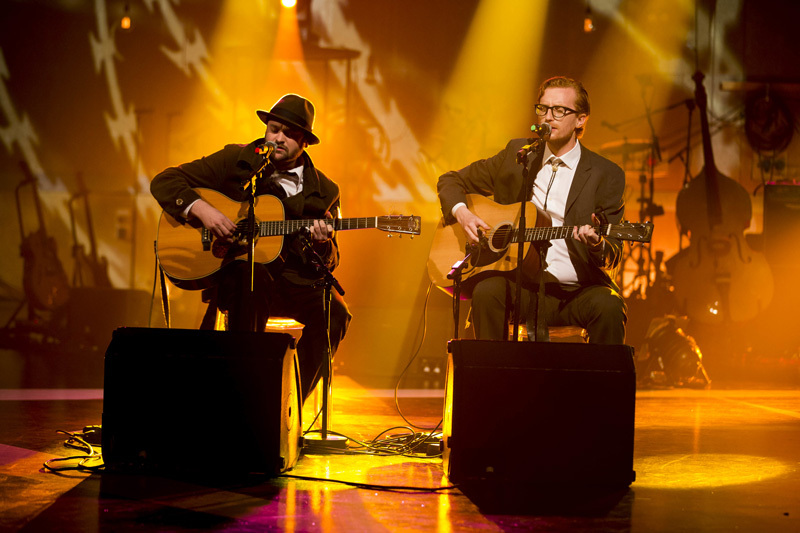 The Lost Brothers appeared on The Imelda May Show on RTE TV in Ireland last week. Sadly, the main performance & interview is not available outside Ireland but an “extra” of the duo performing Gold and Silver, from their new album New Songs of Dawn and Dust, is viewable on the RTE player here.